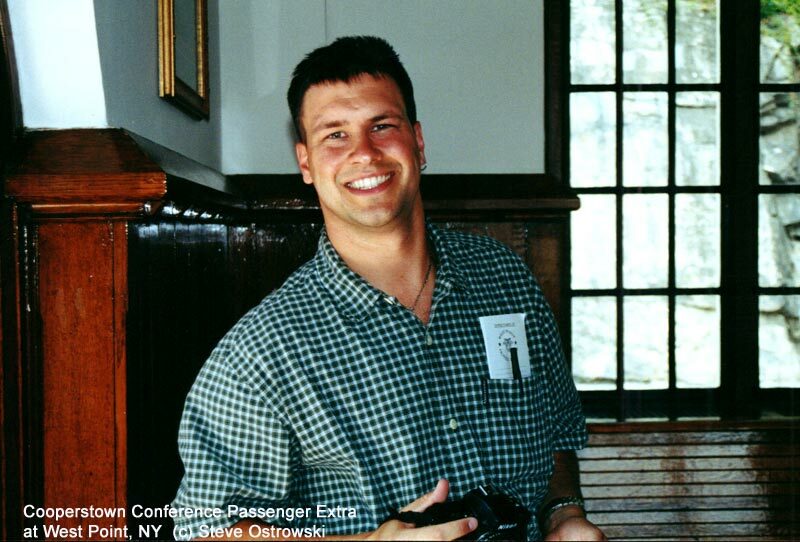 Steve Ostrowski is a locomotive engineer for Amtrak and an official photographer for the Susquehanna Railroad. 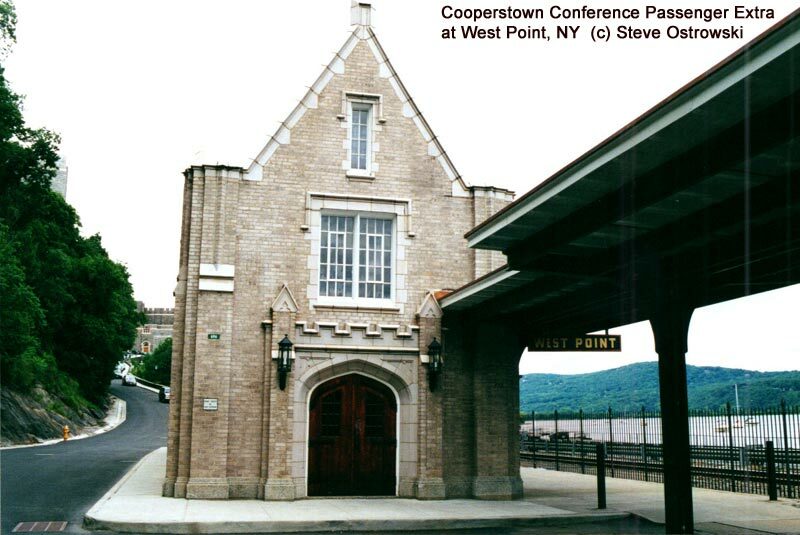 When the Cooperstown Conference of railroads was held at West Point, New York in 2001, Steve was asked to take pictures. He has shared some of them for your enjoyment. You can send your comments to Steve. 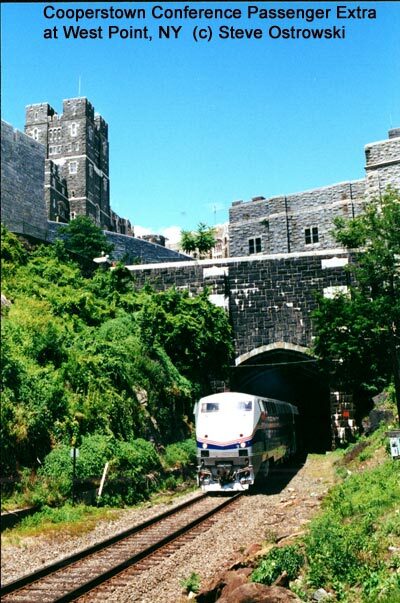 The southbound passenger extra emerges from West Point tunnel, just north of the station, ready to take conference participants back to Washington. Genesis power is rarely seen on this side of the Hudson River. The extra is stopped in the station and receiving passengers. 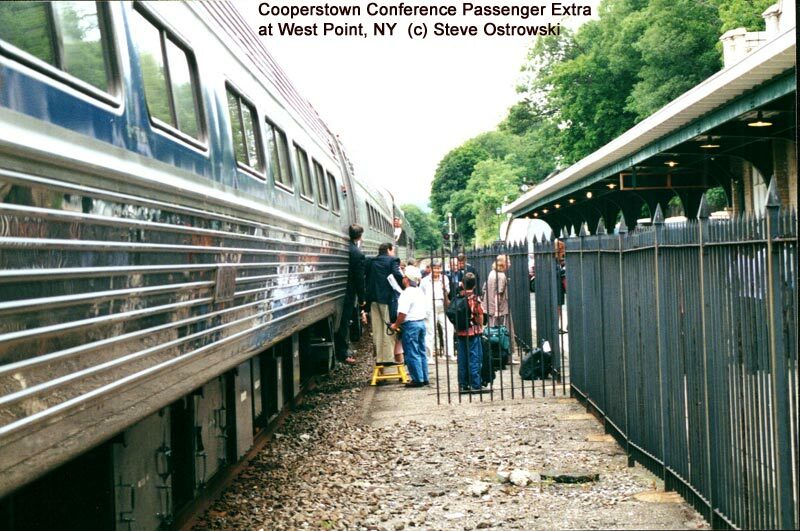 A fence normally protects people from trains at West Point. It was a very raresight to see the gate opened to board passengers. 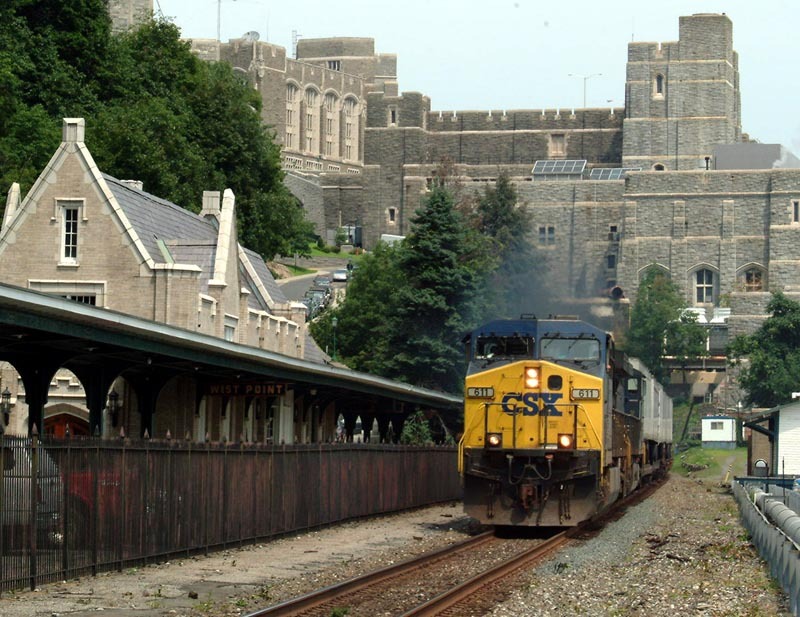 After dropping off conference participants for their stay at the Hotel Thayer, the passenger extra headed north for Selkirk with the CSX observation car on the tail end. Inside the cathedral-like station. It is in great shape, thanks to a restoration provided by the West Point Class of 1947. 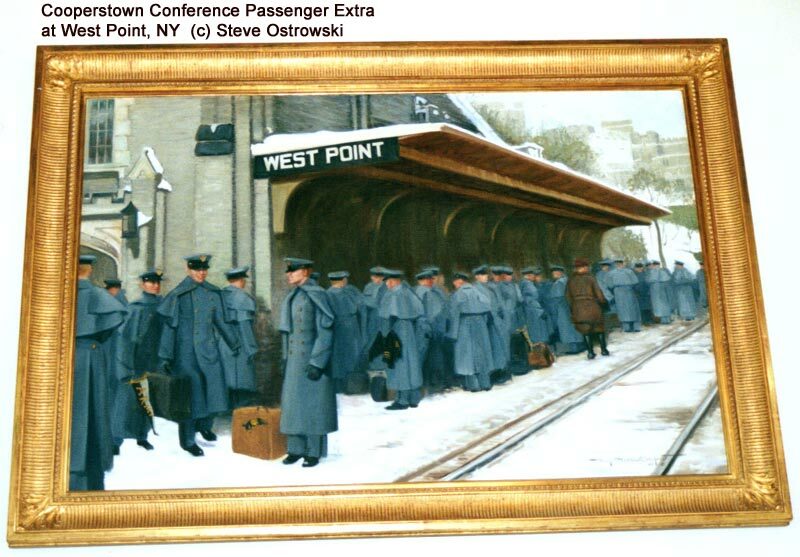 This painting hangs in the station and depicts cadets waiting in the snow for a New York Central train. 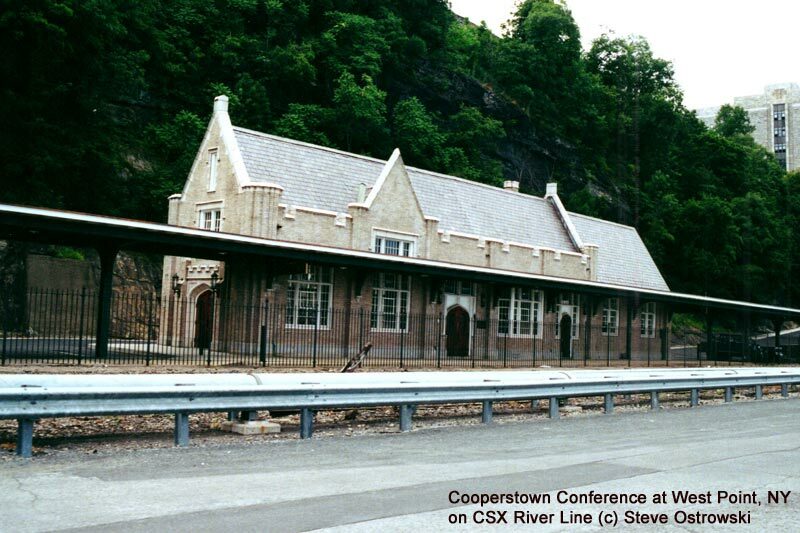 Like most buildings at West Point, the railroad station has a beautiful stone facade. The canapy remains intact while the platform is separated from the tracks by a fence. 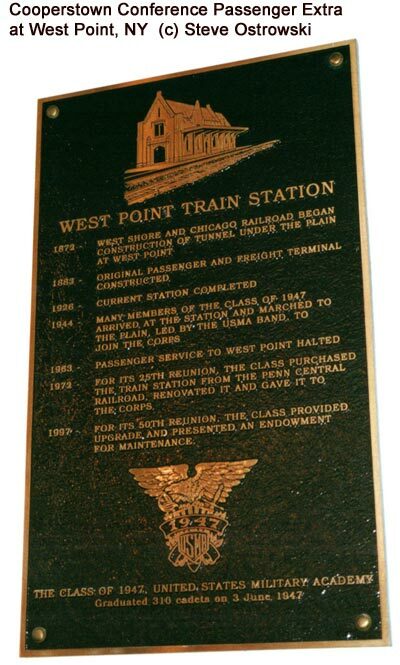 The West Point Class of 1947 provided funds to restore the station and place this plaque with some history about the building. 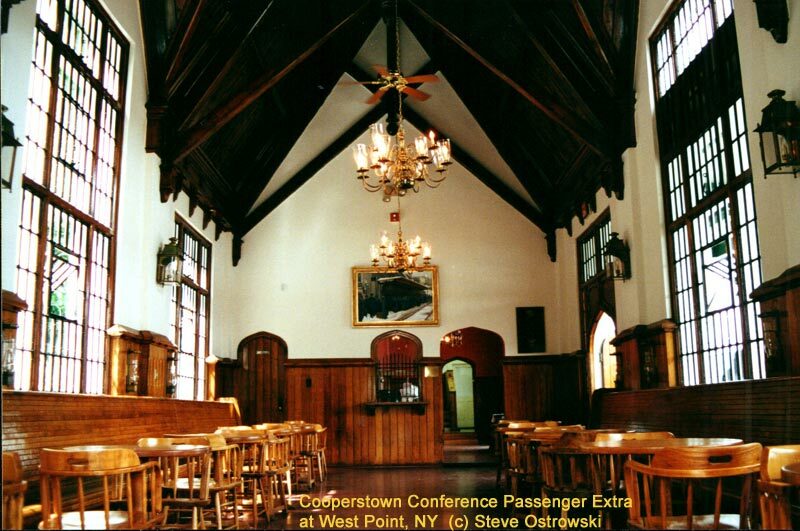 Steve Ostrowski poses inside the West Point Station. 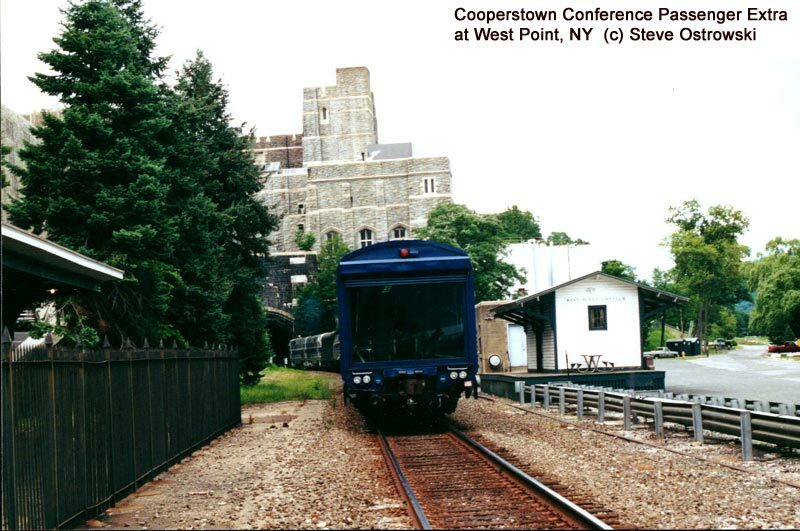 Regular passenger service to West Point ceased a decade before Steve was born. 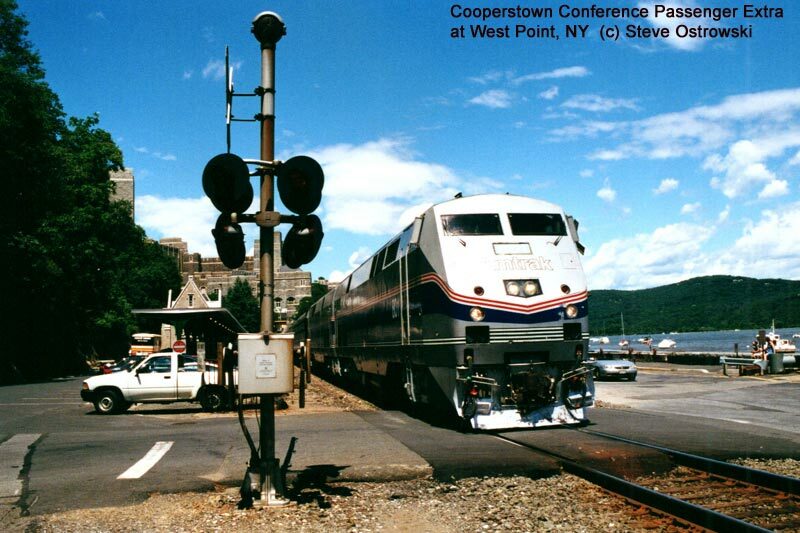 He is a locomotive engineer with the Metro-North railroad and frequently operates trains on the Hudson Line, just across the river from West Point. 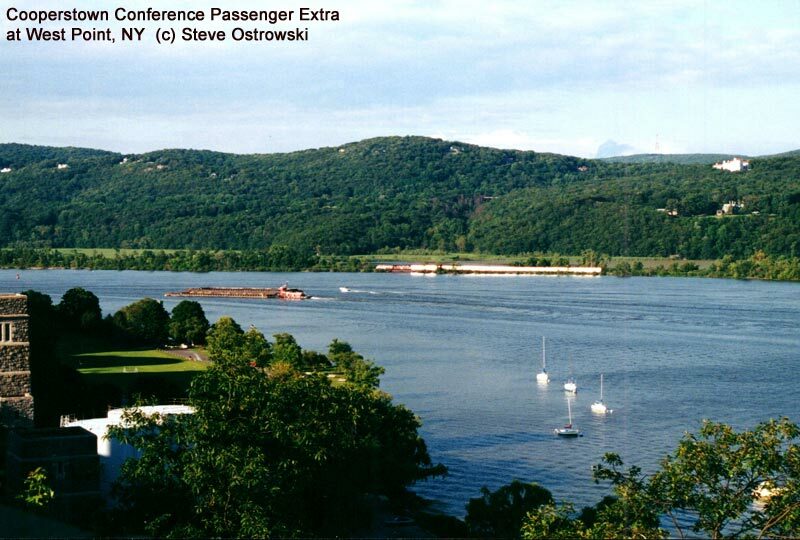 Bernie Ente captured this photo on August 14, 2003 while cruising the Hudson on the fireboat John J. Harvey (ret). The boat made a stop at West Point and the gates went down at the crossing. Bernie took out his Fuji S2 digital SLR and got the shot.